Is Local The New 'Sacred'? A similar protest occurred in northeast Edmonton, when agricultural land was rezoned for low-density housing. In this case, however, the project went ahead. While sympathetic to the agricultural cause, the mayor of Edmonton did not, however, see the economics working out in favour of keeping the farmland intact. 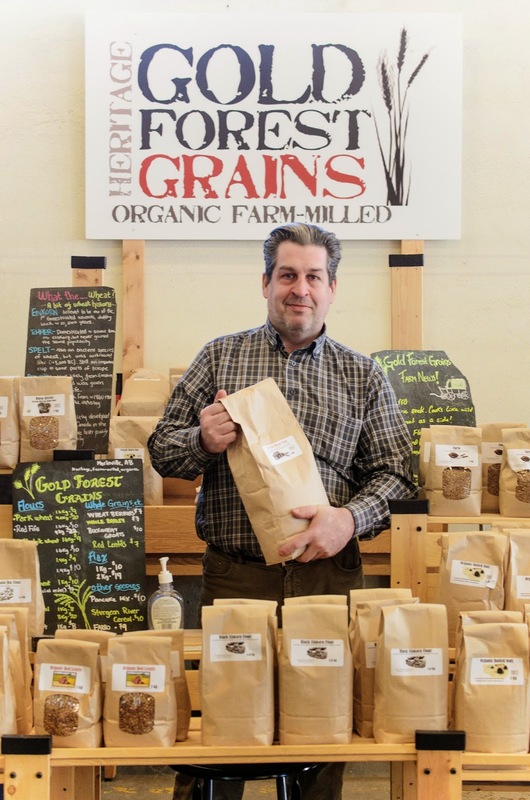 These articles spurred me to write this piece on local farmer John Schneider of Gold Forest Grains. John’s story is familiar – local, organic farmer tries to make a living by standing by his principles and hoping that we do the same. There is no doubting that the words ‘local’ and ‘organic’ are trendy. But what does this mean for the people who farm organically? I wanted to talk to a person who has made being local and organic part of his life in an unassuming way – not because it is cool or popular or ‘what we should be doing’ – but because of his longstanding belief that we need to look after the land for future generations. I first met John Schneider when he was a guest at a cooking class. I’d heard a lot about him already, but I was still struck by his passionate articulation of his chosen ethos of organic, heritage farming and local food. John is a sixth generation farmer and zealous about changing the way food is grown and produced and how people eat. His father owned a ‘conventional’ farm, where he grew up, mostly feeling like farming was “just a job, like any other.” However, he ended up buying his own farm in his mid-thirties. He credits his determination to go organic to his father – who ended up working with chemicals and subsequently passed away – and his wife, Cindy, who is involved with the organic movement and nutrition. I meet John, big, bluff and very farmer-like, at our local farmer’s market. We chat often. He occasionally looks tired, a result of his 5 A.M. starts travelling to the city, but his eyes are bright and smile wide, as he gesticulates, and chats animatedly to locals and visitors who throng the market. For John, local goes hand in hand with sustainable. “I want to leave a positive footprint on this world – a large one. But first I have to get rid of every bit of my negative footprint, go down to zero, and then start again,” he emphasises. I ask John about his children. Does he want them to run the farm after him? He shrugs. “My children have the freedom to do what they want to do with their lives. I can’t ask them to follow the path I’ve chosen, but I do hope at some point, they feel the call of the land and come back to the farm.” I mention Horgan’s farmers to John. He listens to the story, and tells me that he understand what they are going through as well. But for him, his philosophy on organic farming and farming, in general, is not negotiable. He has a few more years to go, and as he puts it, "I do organic because it is the right thing to do – the right thing for me to do – not because it is trendy or a fast growing agricultural sector." It’s not to say that we did not feel sorry for the farmers in Horgan’s study, who truly felt that the way forward was development. I, for one, understand that it must have been a hard decision to sell your land and to realise that the future for farming can be bleak. It also doesn’t help when people pressure you to follow the current status quo of the local as sacred. John and I never did find out what happened to those farmers once the rezoning application was overturned, but John’s farm is still there, and if he has his way, it will continue to be there for a long time. For John, local is truly sacred. Giving back to the land, preserving heirloom and heritage wheat, making sure that we preserve a better world for future generations – this, indeed, is his religion. Heat the oil in a small, heavy based saucepan. Add the mustard seeds and curry leaves. When the seeds splutter, about 30 seconds, add the red lentils and fry for a minute. Add the onions and chillies, and fry gently until the onions are translucent. Add the vegetables and oats and cook together for a few minutes. Add the water to the pan, and bring to the boil. Simmer gently for five minutes. Turn the heat down to medium low, and cook the upma, covered for about twenty minutes, stirring occasionally, until the oats are cooked, with a little bit of a bite to them. John and I hosted an Indian cooking class in his home. He wanted to do it because he loves Indian food. I wanted to do it because I believed that ethnic, traditional food does not mean giving up heritage or local. Our class, along with my friend Addie Raghavan, was the perfect combination of local meets the world. I can proudly say that 90% of the ingredients we used in our class were local. The only non-local items were the spices, lemons, prawns (and these were from Canada, too) and the curry leaves (I have plans to grow these in my house this year.) We made pav (Indian bread rolls) and tandoori rotis with John’s Park Wheat flour. The spiced lentil salad was made with John’s own lentils. 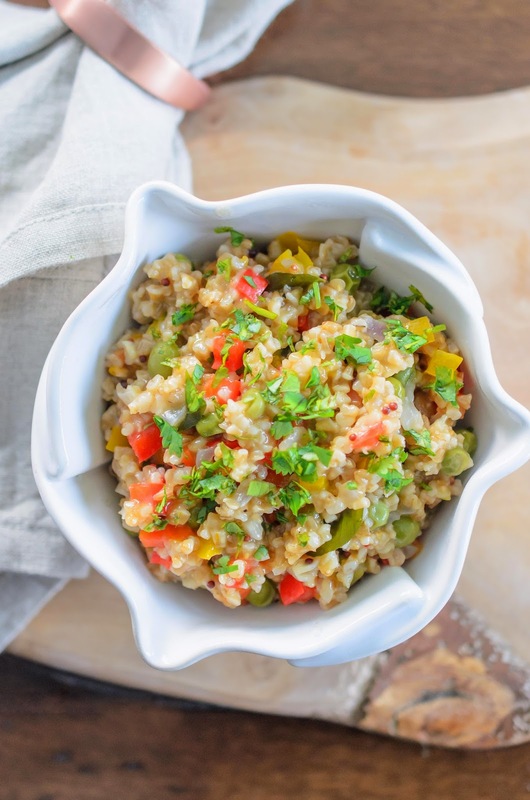 For us, the big hit was this vegetable oat upma, which Addie suggested. It is such a traditional Indian dish, but worked perfectly with all the local ingredients and John’s own organic lentils and steel cut oats and is the perfect way to start your day or even as part of a delicious Indian brunch. GREAT post about a GREAT Edmonon/Alberta farmer. I am a big fan/supporter of John's products and his vision. My current favorite product is FARRO - i am in LOVE - i put that stuff in EVERYTHING. Thank you Michelle for giving both our farm and this issue the exposure they need! I really enjoyed reading about your upbringing in India...it sounds like a wonderful culinary history! The realities of farming vs. development is really quite simple when you take out the principles. The day that it is more profitable to farm than it is to build retail and housing is the day that farmland will no longer be consumed by concrete and cheap, unsustainable building projects. Food, at some point, will be valued properly. Someday. Glad you wrote about the upma! I always enjoy my time spent out at John and Cindy's. 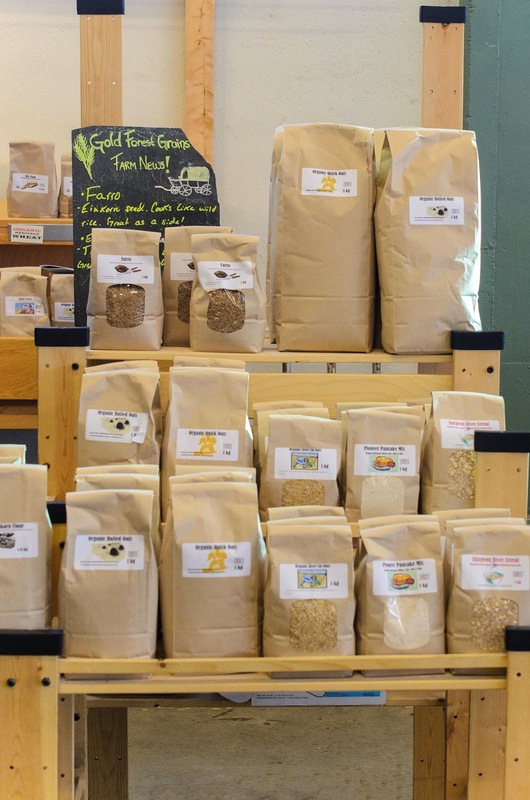 Looking forward to trying your recipes made with their grains! Great spotlight post and great discussion of a trendy topic! Wonderful piece! I feel that we're in danger of losing much of our arable land to development. In BC, the provincial government is working to dismantle the Agricultural Land Reserve in order to open it up to housing development in the south and oil and gas in the north. It's frightening to think that in a post-oil world, people here might curse their elders who destroyed the capacity for local food production. I LOVED this article Michelle!!! I agree that local IS the new sacred - both for us humans and for the planet. But it's been co-opted by trends and transnational corporations. I don't think we need to agree WHY we should be farming local and organically - every step may be a step in the right direction - but when a brand or company uses the terms to shroud their actual practices and green-wash their excessive profits, it makes me nervous. As much as tweeting about better food ways and then going out and buying a crap ton of bananas makes me cringe. It has to MEAN something.